Every state in America will hold congressional elections in 2014, and most will also have gubernatorial, legislative and local elections. A deadline for candidates is approaching in all the states, just as it is where I live, in Maryland. But you never hear about it. Why beat the drum for candidates? Two reasons. First, it’s important. Americans have gotten in the habit of holding our politicians in extreme low regard. The reputation of government and politics is tarnished by corruption and inefficiency. The understandable reaction is disappointment and apathy. Some citizens at the extremes view government with fear and loathing. The way we choose our leaders is called democracy, and democracy is withering away while we fiddle. What do you need for a functioning democracy? Two things. Voters, obviously. And candidates. What good are voters without candidates? And you must have more than one candidate. When you have one candidate or one party, that’s not democracy. Isn’t it obvious that we need more and better candidates? I said two reasons, didn’t I? The second reason I’m talking about candidacy on this blog is, you never hear about it anyplace else, do you? You’ll see reminders about registering to vote at your library or the MVA. You’ll probably have opportunities to register to vote at your house of worship and your high school. But how often to you see anything about the process of becoming a candidate, or the filing deadline? Not in the mainstream media. It’s almost a conspiracy of silence by the media. Political organizations are worse. Most individual politicians hate competition. It’s so easy to skate by if you’re the only candidate. But my, how it complicates things when you have an opponent, or two or three opponents! Political leaders, party organizations, and even special-interest groups often actively discourage candidates. If the party or the special interest has a malleable office holder, they don’t want to rock the boat. They want to see their guy or gal cruise to reelection, time after time. In modern times, it’s more likely for a candidate to need the equivalent of permission from fund-raisers and special-interest groups. Also in modern days, it’s not uncommon for an ambitious member of the House of Delegates or School Board to be counseled (to put it gently) by party elders to wait until it’s their time before running for a higher office. It never occurs to most normal, ordinary people, that they could hold public office, be a public servant. (That’s why normal people are normal.) OK, you’ll never be president, or even governor. But you’d be surprised how lowly and ordinary a state legislator or county council member can be. I think many ordinary citizens would be shocked to know that there are no special requirements to run for the General Assembly. If you’re a U.S. citizen and 21 years of age,* you qualify. That’s it. No experience required. You don’t have to be a college graduate. It helps to have a thick skin and tolerance for rejection. And in unfriendly red Republican territory, in other parts of Maryland. Now that I’ve retired and consolidated back here in my home county, it’s ironic that I can’t participate as a candidate. Too bad. I might at least get a few relatives and people I went to school with to vote for me. Truth is, there are good reasons why I can’t run for office this year. I wish I could, but I can’t. All I can do is write about it. But YOU might be a person who could run. Win or lose, you’d be performing a service for Democracy. The deadline in Maryland is Tuesday, Feb. 25, 2014. Find out more at the Maryland Board of Elections. UPDATE QUEBEC: One man was killed and another injured in a shooting outside a victory celebration for Pauline Marois, the Associated Press is reporting. 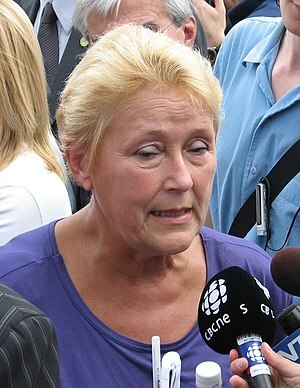 Ms. Marois, leader of Parti Quebecois, was not injured. Police arrested a 62-year-old businessman, who will be charged today. The MSM is definitely irrelevant! They held an election in Quebec this week, and the Parti Quebecois won with 33 percent of the vote, enough to form a coalition government and run the province. The only reason I know all this is because of a post and a thread of comments on Clarissa’s Blog. Blogging beats MSM, again. Seems to me the Quebec election ought to be newsworthy in America, if only because the Parti Quebecois allegedly advocates separation of Quebec from the rest of Canada. Possibly many U.S. citizens would need a map to find Quebec, or even Canada. Hint: Canada spans the continent from Atlantic to Pacific, directly north of the U.S.